How many of you visited the wonderful Lumiere festival of light in town last weekend? I hope you got your fill of awe-inspiring illumination as you ain't going to get much in SE8, not even the bog standard stuff. With bitter irony, as Deptford's night-time economy takes an upturn, its public lighting seems to be going head-first down the pan. Of all of Deptford's public areas, Giffin Square is surely the one most generously provided with lighting facilities. As well as eight towering lamp standards which each carry five or six lights on the top, the square also has small lights set in some of the stone cubes, and strip lights place randomly between the paving stones in the square. Hard to imagine when this is the scene after dark in Deptford's main square. The north side of the square, in front of Costa Coffee, is pitch black. Out of more than 40 lights on the eight lamp standards in the square JUST TWO are actually working, shining pitifully down on this gloomy landscape. Luckily floor level is lit sufficiently to prevent pedestrians tripping over the randomly-placed blocks of granite, but almost everything else is in shadow. What exactly is the point of having a lamp post with six lights on the top if you can't be arsed to replace the bulbs? Walk a bit further and you start to suspect this is not just a one-off fail. Douglas Square was refurbished with those odd hanging lights a few years back - four sets of cables each with three lights strung between poles to illuminate the market square. ONLY HALF of the lights in Douglas Square are working - six out of twelve unlit and no sign of them having replacement bulbs any time soon. As if that's not bad enough, anyone walking to New Cross station has to pass through yet another square of gloom on their journey. The infamous 'public realm' (I use the term advisedly) outside the Waldron Centre is also cast into shadow as soon as the sun sets. There are four streetlights in the square, only one of which continues to shine doggedly onto the uneven and unfinished asphalt with its dead trees. The lamp in the photo below may look like it's on, but in fact it's just being lit up by the lights behind the lettering. Street lighting in Lewisham is the responsibility of Skanska and John Laing, who took it on in a huge 25 year PFI contract in 2011. Lewisham Council's website includes an online reporting form which also lists the faults that might occur. Some of them - including any situation where three consecutive lights are out of order - are classified as 'emergencies'. These can only be reported by calling the freephone number, and the contractor promises a one-hour response to fix them. Having struggled with this 'reporting' system in the past, I'm not surprised to hear from a correspondent who says they reported the Giffin Square lighting fail several weeks ago. So much for a one-hour response - surely it's just a case of putting new bulbs in? Looks like we're going to remain in the dark for some time yet. Anyone want to do the mushroom joke? 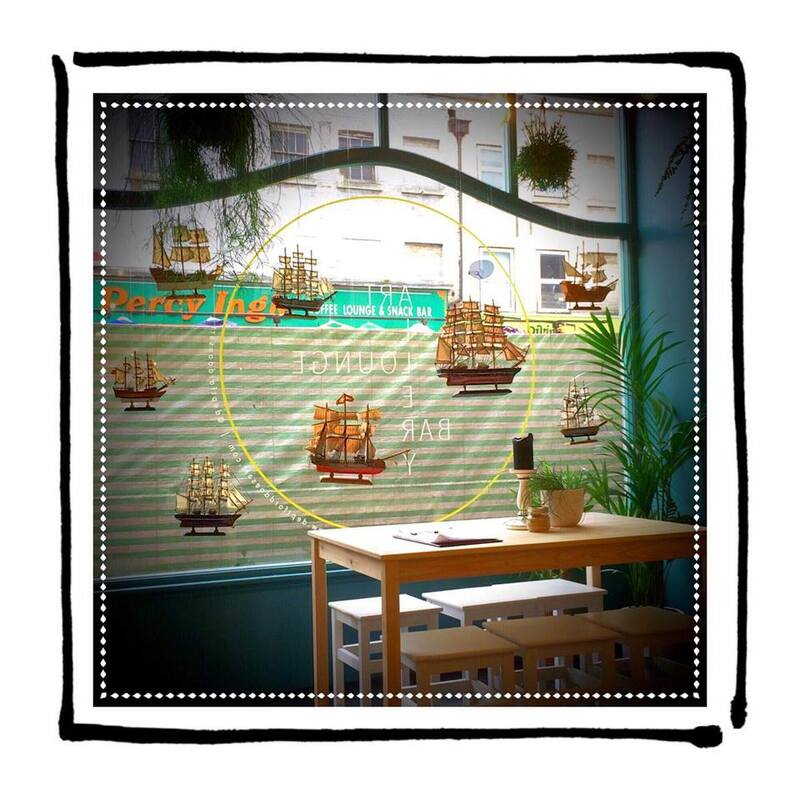 To celebrate the imminent return of the Deptford anchor! 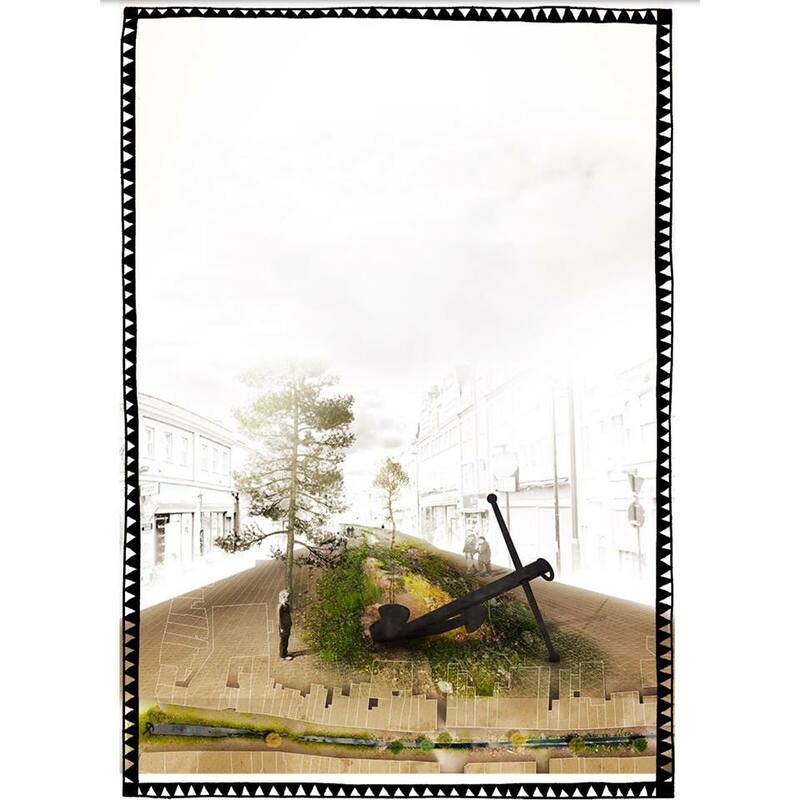 Deptford Does Art, Sayes Court and Deptford Is Forever are planning a programme of events to coincide with an exhibition around the imminent return of the anchor. Late last year Deptford Folk (the user group for Deptford Park and Folkestone Gardens) got the welcome news that a bid for funding from TfL had been successful. 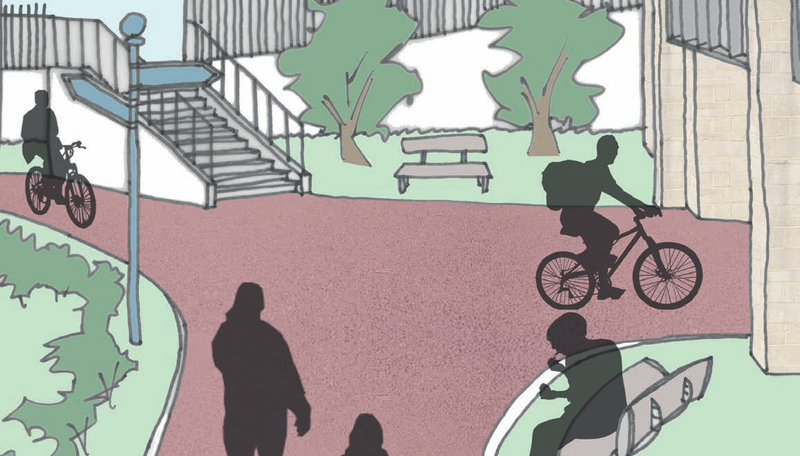 The bid was developed in partnership with Sustrans and proposes a number of improvements to walking and cycling routes in and around the parks - some of them quite substantial projects in their own right. The money is coming from the 'liveable neighbourhoods' fund and the first tranche will be used to cover the cost of further feasibility studies, with a second slice paid out later for the actual work, presumably depending on the projects being proved feasible - a potential total of £2.9 million for these schemes. 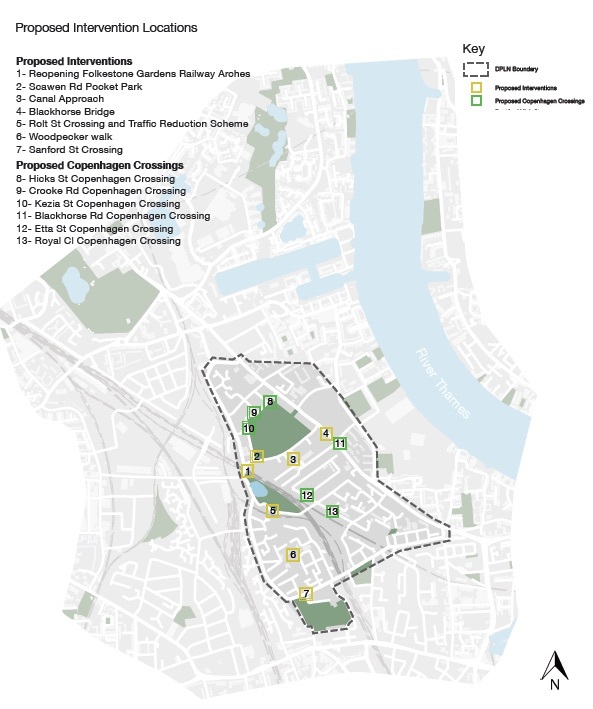 The overall package includes six 'Copenhagen Crossings' (improved road crossings for cyclists and pedestrians) at locations around the parks, and seven more substantial 'interventions' which involve improving existing cycle routes, and creating and opening up new ones, among other things. 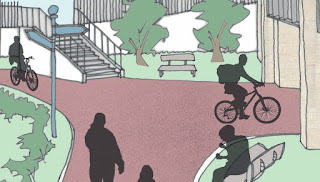 One of the flagship 'interventions' which would impact directly on access to Folkestone Gardens is improvement of the existing crossing of Rolt Street, which links the Woodpecker estate (and the pedestrian and cycle route through it) to the gardens. Although this already exists as a raised crossing, and is on the bend of a road ostensibly with a 20mph speed limit, anyone who uses it will know that this counts for very little. A lot of traffic uses this route as a cut-through, especially in the rush hours, and much of it takes this corner way too fast. There is no refuge or island to slow drivers down, and visibility is poor for anyone coming out of the park, due to the bend in the road and the density of parked cars outside the houses. Last year Sustrans held a public workshop which involved restricting the road width with some cunningly-arranged straw bales, and inviting school groups and passers by to experience the new road environment and give their feedback on the idea. During this 'temporary street event' Sustrans also recorded the number and speed of vehicles that passed in both directions - this was collected over a seven day period, 24 hours a day, including the day of the event. Data (which is published in the report here) showed a reduction in traffic speed of around 23% in one direction and 17% in the other at the counter nearest to the restriction. I'm curious as to whether this speed reduction would be a permanent outcome of the traffic calming measures that Sustrans is proposing. 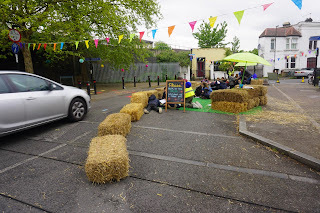 How much of the speed reduction was down to drivers wondering why there were bales of straw in the road, and kids were prone on the road behind them? Don't speeds just creep back up once drivers get accustomed to new driving conditions? I presume Sustrans has monitored what has happened in other schemes, and I'd be keen to know how it pans out in the long term. One of the other major projects that the funding will be used to investigate is the plan to create a new cycle route under Evelyn Street, right next to the Blackhorse pub. 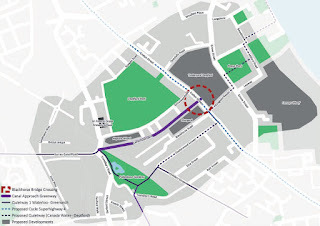 This route will provide a safe route for cyclists and pedestrians between the parks and estates on the west side of Evelyn Street and the riverside paths and parks of the Pepys estate and Surrey Docks. It is a collaboration between Deptford Folk, Sustrans, the Ramblers Association, Lewisham Cyclists and Lewisham Council and would create a new route along the line of the former Surrey Canal. I'm particularly excited about this as when I looked back in the archive I realised I've been banging on about it for seven years now. Seven years! Turns out I've got stamina! You can read my initial blog post here which includes a photo of the bridge parapet, and a subsequent one here, in which I remarked on improvements to the layout of the buildings proposed for the Wharves development (now the Timberyard) which would make this route a possibility. 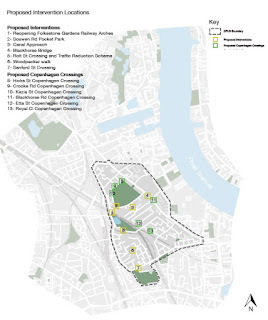 It will also build on Deptford Folk's subsequent work which involved objecting against the planning application for the Shurgard storage facility that has just been built at the end of Blackhorse Road. If this application had passed in its original form, the building would have obstructed the proposed route. 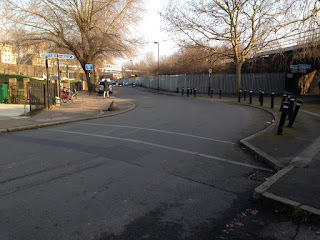 But Deptford Folk was successful in challenging the application, with the result that the building footprint was moved slightly to leave space for a cycle route on the west side of the road. With the recent funding award we may at last find out how feasible this idea is, and perhaps even see it brought to fruition in the near future. More details of the Deptford Folk plans can be seen on the web page here, and if it's something you want to get involved with, they also have an email newsletter you can sign up to, so you'll be kept in the loop.